David Baker (pictured left) topped one of the toughest final table line-up imaginable to win the $10,000 buy-in H.O.R.S.E. championship (Event #32), pocketing USD $451,779 in prize money. Six of the nine final table players were former gold bracelet winners with a combined 25 WSOP titles between them, making it the second-most stacked final table in history. Only the inaugural $50,000 buy-in Poker Players Championship played back in 2006 started with a finale full of more glittering gold bracelet victories among its finalists. That finale included a combined 27 wins. 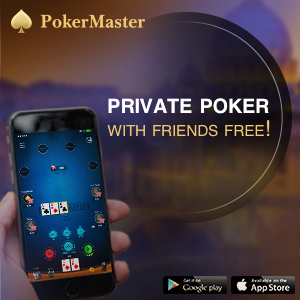 Most notably was Phil Ivey, who rolled into his fourth finale at this year’s series – an astounding accomplishment given the big field sizes and highly competitive nature of the higher buy-in events he usually plays. Another player who made it yet again was Phil Hellmuth, fresh off his 12th gold bracelet victory, which took place in the Razz tournament, completed just five days ago. Remarkably, this was Hellmuth’s sixth time at a final table within the past two years. It’s no surprise that Hellmuth continues to distance himself from the field as the all-time WSOP leader in final table appearances, currently at 46 (and counting). 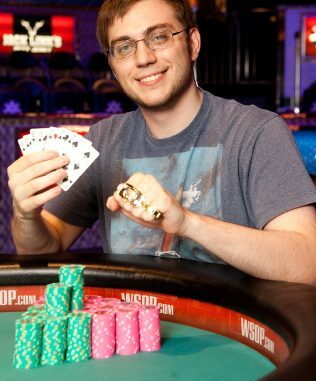 Just two weeks ago, John Monnette won Event #10 – good for his second win in two years. This marked his third final table appearance in 2012, which ranks second only to Ivey. Dan Kelly too had been here before, as well, with three final tables, plus a WSOP victory in 2010. Then, there was Abe Mosseri, who’s sat at five final tables, including this one. He won his gold bracelet in 2009. And, of course, Baker, making his fifth career WSOP final table appearance. His gold bracelet victory came in 2010. He enjoyed a breakthrough year in 2010, when he final tabled the $50,000 buy-in Poker Players Championship, finishing sixth. Baker followed up that performance with a win in the $10,000 buy-in Deuce-to-Seven Lowball event – good for his first gold bracelet. Baker is a dedicated poker pro who started playing seriously while in college. He gradually improved to the point he was making a living at the game, mostly toiling away in online poker games. Baker now plays in some of the biggest and toughest cash games in the world. 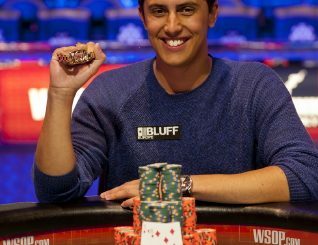 • Carter Phillips collected his second career WSOP gold bracelet with victory in Event #31, a $1500 buy-in No Limit Hold’em tournament. His first bracelet came in 2010 in a $1500 No-Limit Hold’em Six-Handed event. Phillips defeated 2009 Main Event winner Joe Cada heads-up. Had Cada been able to hang on for the win, he would have become the first Main Event champion of the post-Moneymaker era to win a follow-up bracelet. After a lacklustre WSOP last year, and a slow start this year, Phillips is rejuvenated by his most recent victory. In his own words, Phillips played really poor poker at the WSOP last summer. His love for the game was diminishing and his patience was wearing thin. The tournament grind was becoming monotonous and he didn’t care if he won or lost. 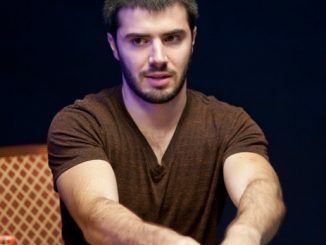 “I knew I would rather not be in the poker world than doing that. School was an option for me,” Phillips said. 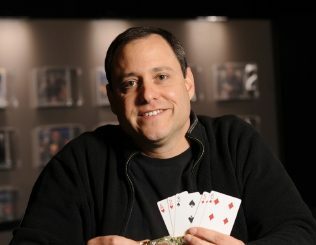 He dropped out in 2007 to pursue poker full-time, but is currently enrolled in classes for the Fall 2012 semester at the University of North Carolina – Charlotte. He has aspirations to study business, and hopes his poker winnings can help him with his own start-up company in the future. In order to cash in on his most recent payday, Phillips had to best a final table that included Cada. The pair would play heads up for the better part of three hours before Phillips was finally crowned champion. “Joe is probably one of the toughest opponents I could have been playing. I knew coming into today if I was going to make it deep in this, then he was going to be my biggest threat,” Phillips said. Instead, Phillips earned $664,130 for the victory. Event #31 attracted 2811 entrants, making it the second largest tournament at the 2012 WSOP thus far.